Cockcroft Web » School Children Invade Cockcroft! The Cockcroft Institute located at Daresbury Laboratory has proven it excels, not only in academic prowess, but also in their commitment to the communication of their work to wider audiences, and this June has been no different. The Institute was overrun by 80+ school children (or future scientists) for an outreach day on the 14th and 15th June 2016. Co-ordinated by EU project manager Ricardo Torres and a handful of volunteers, the QUASAR team passionately set out to create an exciting and challenging day for the 12-15 year olds in an effort to encourage the pursuit of science as a career choice. 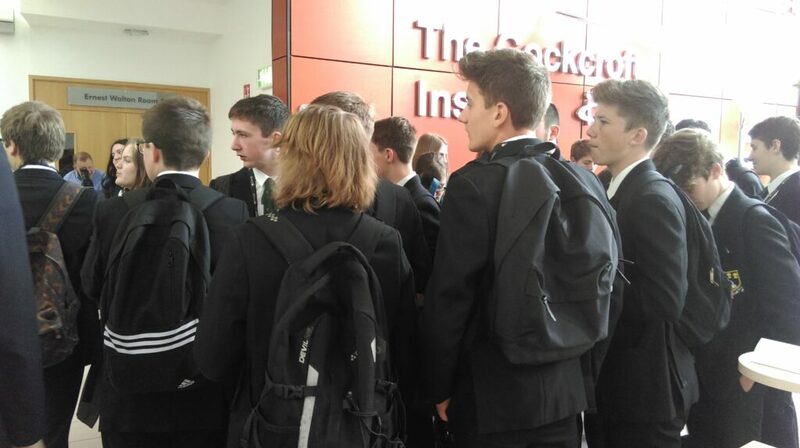 With stimulated participation from St John Plessington Catholic College and Helsby High School, the team of volunteers successfully managed to pique the interest of their junior guests and hopefully awaken some of their inner physicists. The event began with an informative and enthusiastic talk from Professor of accelerator physics at the Cockcroft Institute and Head of the Accelerator Physics group at Liverpool University, Carsten Welsch, appropriately titled “accelerating you”. The talk highlighted the key and most important areas of accelerator science which included: medical applications (OMA), antimatter and the Large Hadron Collider. With humorous comparisons between “Hollywood” science and “real science” that kept the students engaged from the start, this was just the beginning. The students spent some time watching planned demonstrations of various experiments however, the majority of the day was spent challenging them to create their own. 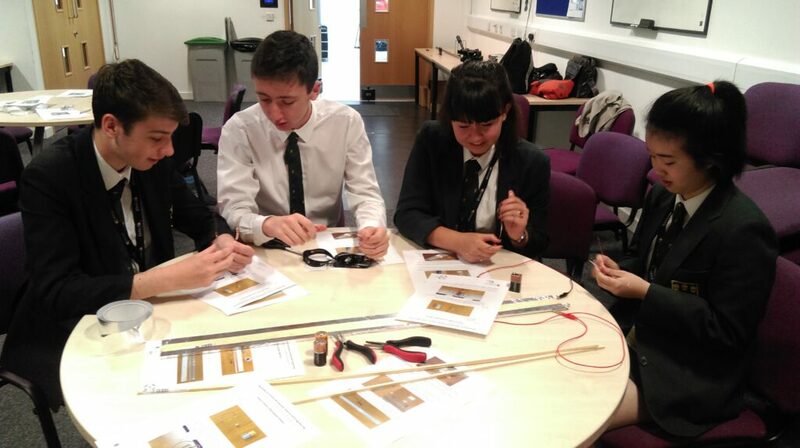 In a mad flurry of masking tape, magnets, batteries and salad bowls, the students excitedly worked in groups with the volunteers to prove themselves as capable young physicists. As the students enjoyed building homemade salad bowl accelerators, Van De Graaff Generators and railguns, several students were also tasked with both filming and editing videos documenting their experiments and the process of making them. After a well deserved lunch (for both students and volunteers), there was still enough time for a short quiz and a very positive feedback session from the school kids, who showed promise and potential in their ability to adapt to the world of physics. The day ended with vibrancy as the students displayed posters and videos detailing and demonstrating their work on the experiments. The videos displayed the students success, creativity (and a healthy dash of Liverpudlian humour), which left the students, teachers and volunteers in high spirits at the end of the day.